Uncategorized Category Archives — Boston Criminal Lawyers Blog Published by Massachusetts Criminal Defense Attorney — Law Offices of Lefteris K. Travayiakis, P.C. The Massachusetts Court of Appeals recently affirmed an order from the Superior Court holding a petitioner in contempt for refusing to abide by an order to unlock his iPhone following a request from a Middlesex County Grand Jury. A grand jury hearing facts in an ongoing investigation in Middlesex County involving an alleged assault and battery on two children requested that the prosecutor seek an order from a Superior Court judge ordering a person to produce the PIN code and/or password for his iPhone. A search warrant had issued out of the Lowell District Court authorizing a search of the phone, but the person refused to provide the PIN code. Following a hearing, a superior court judge entered an ordered detailing protocol how the petitioner would enter the PIN code so that the search warrant could be executed. This order also barred the prosecutor from introducing evidence against the petitioner’s “act of production” of providing the PIN code in any prosecution against him. 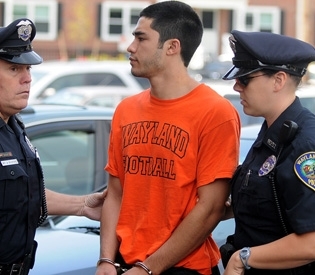 Nathaniel Fujita was arrested and has been charged in connection with the Murder of Lauren Astley, the Wayland teenager whose body was found in a wooded marsh area along Route 27 near a Wayland beach. Fujita was arraigned this morning in Framingham District Court on 1st Degree Murder Charges. Following his arraignment, he was held without bail. According to the Middlesex County District Attorney’s Office, Lauren Astley’s car was found parked at the Wayland beach after she was reported missing late Sunday night. She was last seen leaving work at the Natick Collection at 6:30 that night. Yesterday morning, however, Lauren Astley’s body was discovered by a man along Route 27, partially submerged in a marsh. Aquiles Sanchez, Jr. and Leonel Grullon, both of Salem, were each indicted and arraigned in Salem District Court on Massachusetts Drug Laws Violations yesterday. 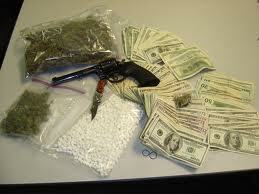 Both men were charged with Drug Trafficking and Resisting Arrest. According to the Essex County District Attorney’s Office, Salem Police officers were conducting routing surveillance in the area of Salem near Boston Billiard’s and Walgreens when they allegedly observed what they believed to be a drug transaction between Aquiles Sanchez Jr., and Leonel Grullon. When Salem Police Officers approached the two men, Sanchez allegedly ran and got into a car and attempted to speed off, allegedly resulting in his striking two cars. As officers gave chase, they allegedly observed Sanchez discard a bag containing 90 oxycodone pills onto the street. Edward Corliss, 64, is the man charged with the Murder of a Nepalese convenience store clerk the day after Christmas at Tedeschi’s in Jamaica Plain. In addition to those Murder and other related charges related to that incident, a Suffolk County Grand Jury has now indicted Corliss in an assassination plot for trying to convince a fellow inmate to murder 3 anticipated witnesses listed to testify against him. According to the Suffolk County District Attorney’s Office, Corliss, who is being held pending trial at MCI Cedar Junction in Concord, Massachusetts, allegedly asked a fellow inmate to kill the 3 witnesses. Since he is being held, Corliss allegedly offered the other inmate proceeds from a future armored car heist he promised to carry out when he is released. He also allegedly offered the inmate additional money if he kept quiet about the robbery. As reported in the Boston Criminal Lawyers Blog on March 5, 2010, Edward Corliss allegedly entered the Tedeschi’s concealing his identity with heavy clothing, a scarf and wig, and attempting to rob the store clerk, Surendra Dangol. A surveillance video captured Corliss entering the store, as well as his allegedly pointing a gun at Dangol’s chest and shooting him. Boston Police Officers arrested him several weeks later when they were able to match the getaway vehicle to Corliss’ home. Stephen Woodard, 20, was in the East Boston Division of the Boston Municipal Court this past week answering criminal charges of Armed Robbery and Drug Charges. In custody, Woodard was in custody and was to be transported by the Suffolk County Sheriff’s Department to jail pending his criminal case. After having been arraigned in Charlestown District Court on Armed Robbery charges for allegedly robbing a man at knifepoint in Charlestown, Woodard was brought to the East Boston Court because he had committed the Armed Robbery while he was out on bail on unrelated Drug Crimes charges.